Taoiseach Leo Varadkar has been given the key to San Francisco at a special ceremony in the city. The award brings no specific entitlements but is the highest honour that can be bestowed on a foreign dignitary. It was presented after Mr Varadkar visited a memorial to Harvey Milk, the first openly gay elected official in the history of California. Previous recipients of the key include a variety of US sports stars, ex-French President Francois Hollande, Prince Albert of Monaco, former Italian PM Matteo Renzi and former UN Secretary General Ban Ki Moon. While the award is rare Mr Varadkar is following the steps of his predecessor Enda Kenny who was honoured in 2013. City Hall in San Francisco was lit up in green for a special ceremony last night led by Mayor Ed Lee. Mr Varadkar told the audience: "Ireland helped to create the United States, and the United States in turn has helped to build and shape the modern Irish Republic: a country of peace and prosperity, confident about the future and our place in the world." He praised the people of the Bay Area, saying: "Many Bay Area companies, such as Apple, Google and Facebook have their European Headquarters in Ireland. They have come to Ireland knowing that they can find and attract the calibre of people they need." 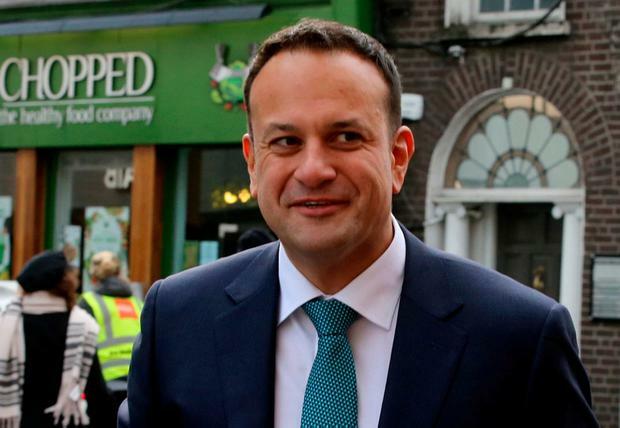 Making reference to Harvey Milk, the Taoiseach noted that Ireland became the first country in the world to introduce marriage equality by popular vote in 2015. "It was a vote that reflected Harvey Milk’s vision for a society built on acceptance and equality. Indeed, the vote happened on what would have been his 85th birthday," he said.